In our not-so-humble opinion, Queensland has some of the best beaches in Australia. When you’ve got something so good right at your doorstep, it can be hard to tear yourself away to check out something further abroad, but the other states have some pretty bodacious beaches that are worth checking out too. If you’ve got a modest case of wanderlust and a thirst for salt-laced sea breezes, then pack your swimmers and head directly to the following coastal coves. We’re kicking things off with one of the most remote destinations on this list. 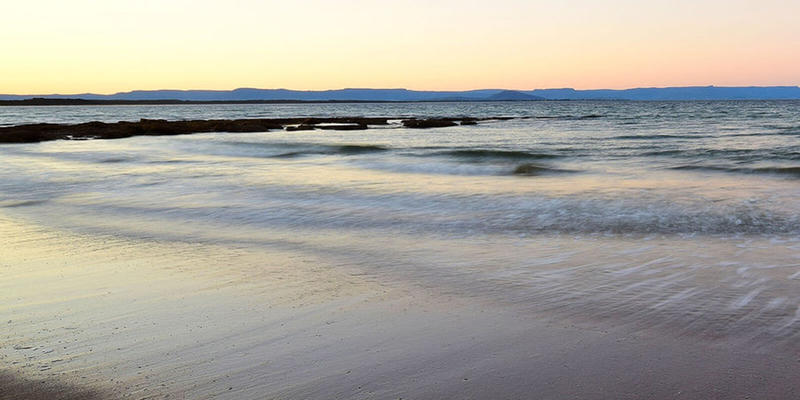 Cape Leveque is situated at the far end of the Dampier Peninsula at the northwest portion of the West Australian coastline, and it boasts some of the most stunning beach vistas in the entire country. The pristine beaches at Cape Leveque are shielded by formations of red rocks, which soak up the sun and give off a vibrant glow that contrasts beautifully with the blue of the ocean. Visitors to Cape Leveque stay at the 100-percent indigenous-owned Kooljaman wilderness camp, which offers low-impact accommodation right on the beach for those that love being soothed to sleep by the sound of the ocean. Despite its speedy name, Rapid Bay sounds more like an ideal place to slow down and take it easy. 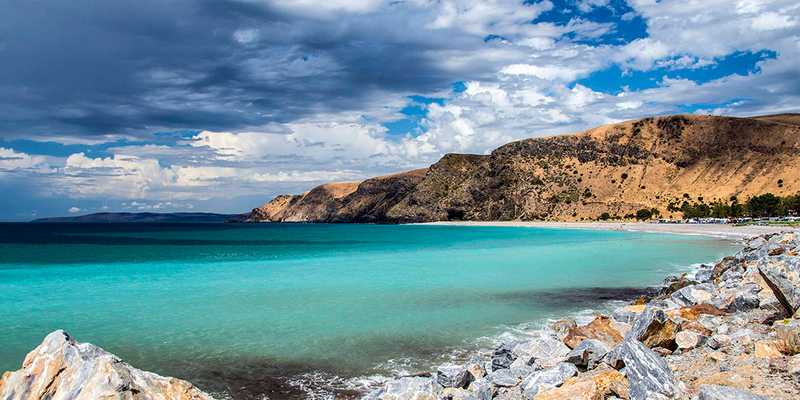 Found on the western edge of the Fleurieu Peninsula in South Australia, Rapid Bay is reportedly a great spot for a holiday trip. Campers can pitch a tent right on the beachfront before wandering the shoreline, which boasts silver sand, calm water and a wide array of wildlife. A modern jetty offers great fishing opportunities, while swimmers can indulge in some scuba diving and snorkelling. As the year kicks into gear, we’re already craving a relaxed getaway – Rapid Bay sounds like just the spot. Five kilometres south of Port Arthur in Tasmania is a stellar secluded spot that boasts some of the best natural formations in the state. 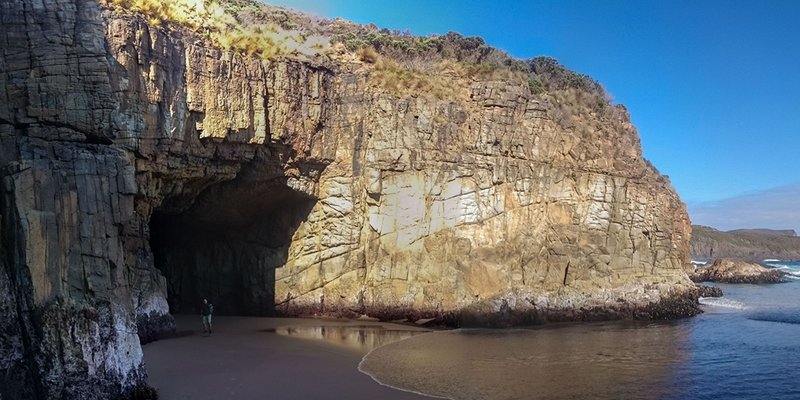 Remarkable Cave has been hewn by the elements out of a sandstone cliff face, leaving a rock bridge of sorts that can be explored at low tide. A viewing platform provides views of the surrounding landscape, but it’s the cave’s interior that offers the most breathtaking sights. From Remarkable Cave you can walk to Crescent Bay, which is home to some great crystal-clear beaches, walking tracks and sandy dunes. If you head past Sydney’s northernmost beaches, the coves of the Central Coast unveil a plethora of hidden swimming spots. Currawong Beach is one such destination, a secluded fishing village with close access to some of the calmest waters in the area. Land lovers can enjoy walks to historic wreckages, while aquatic beings can go diving or paddle boarding. If you are keen to beach hop, Currawong is situated near 14 other beaches, so you can try a new swimming spot every day of your visit. Although indulging in a full-blown sea change is an intimidating prospect, holidays offer a great opportunity to pretend. If we were to pack up and make tracks for the seaside, Golden Beach along Gippsland’s Ninety Mile Beach would be our pick. 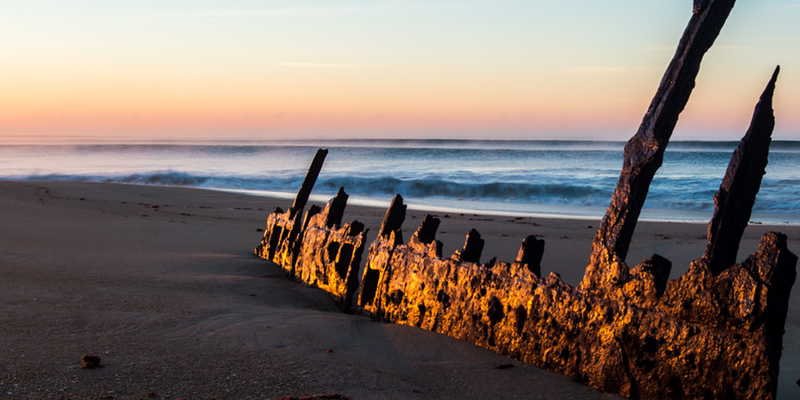 Imagine a pristine coastline stretching as far as the eye can see, immaculate golden sands, coastal vegetation, plenty of picnic and barbecue areas and even historic wrecks to check out. Like most of the Gippsland area, Golden Beach is home to some incredible wildlife and ocean fishing opportunities, so consider us smitten.